This year, we decided to give our relatives a surprise visit. Unlike the past 3 years, this year is a bigger gathering. 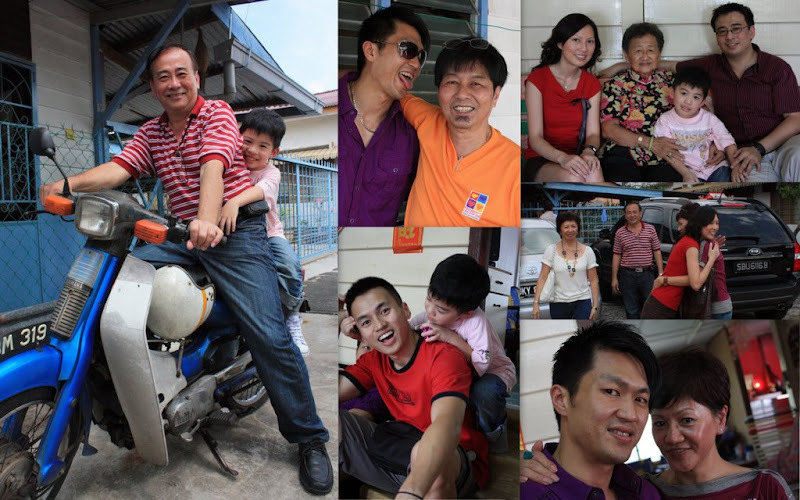 Cousin Leon, who hasn’t been back to Muar since 2004, flew in from Xiamen on Saturday night. We met at Kuala Lumpur and left together for Muar on Sunday. We will be reuniting with our parents “secretly” later on Sunday night. Waiting for the bus was a nightmare. Lucky we have Johnny and Ming to bring us to the right spot. The bus to Muar was an hour late. Congested, hot and smoky, we found ourselves surrounded by hundreds of locals who are also rushing home for CNY holidays. It was quite an experience for most of us. There was a small confusion on the bus. There were a group of commuters who has the same tickets as us (with the same seat numbers!) Speaking to us in Malay, none of us understand each other. The bus driver was extremely friendly and thoughtful. As we didn’t get our bus tickets at the same time, Leon and we were sitting apart. The old Malay driver came and “instructed” the poor girl to give up her seat for Leon. We were pleasantly surprised as we didn’t request for the change of seating. 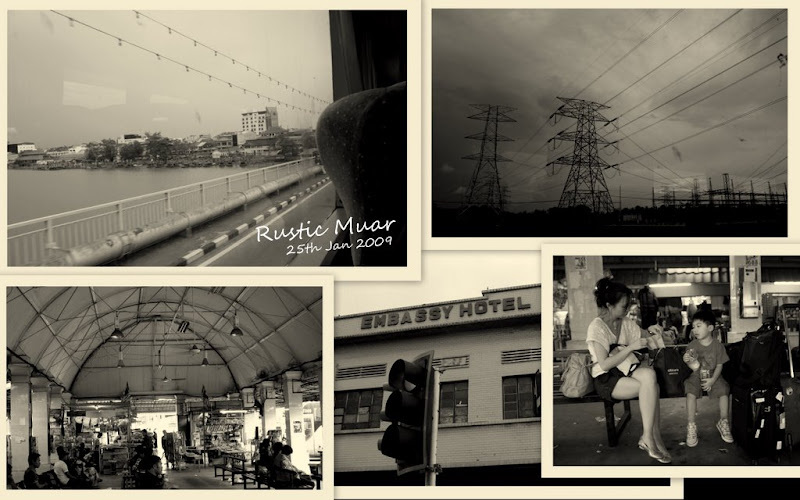 Muar is an old rustic town of little changes. This is the place where time stopped for 15 long years. This is where my mother grew up and where most of my Malaysian relatives reside. The journey to Muar was smooth and comfortable. I managed to catch some sleep on the 1.5-hour ride. We finally arrived at 6:45pm and Uncle Benny came to the bus depot to pick us. We had our mini-Singapore reunion dinner that night. 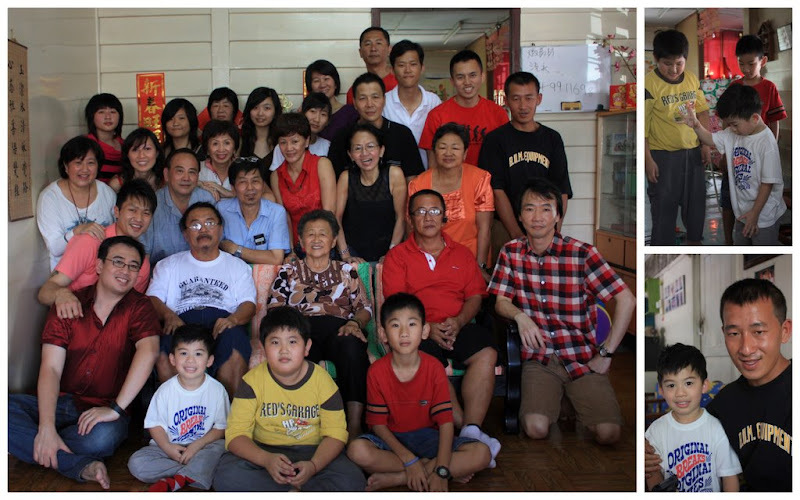 Early next morning (1st Day of CNY), we decided to give our granny a surprise! Our parents arrived on wheels and the rest of us walked to the house. It was indeed a pleasant surprise for my Malaysian relatives, especially my granny. We spent 2 short days in Muar. Friends and relatives arrived from all parts of Asia to meet. 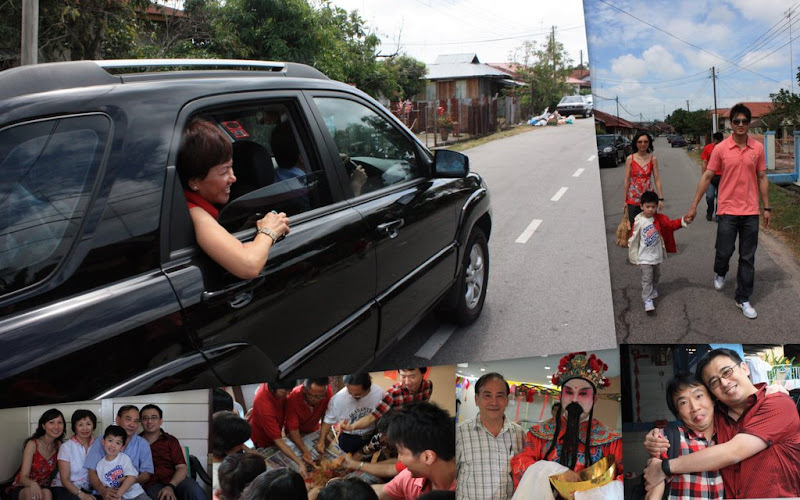 The spirit of CNY is so ever-important. “It was worth the long journey”, Leon said. I couldn’t agree more. Elkan had so much fun with the kids in the house (er… those were actually his uncles and aunties). Most of my young cousins have grown up and I couldn’t even recognize a handful of them! The house was so packed with loud children laughter and old wives’ noisy chattering. When it was time to say goodbye, I felt a tingle of sadness in my heart. Reunion and departure always come hand in hand. We came and left the same time. When our cars left granny’s house yesterday, I sensed the emptiness of the house. Time paused in silence once more. It won’t be another 365 days before we meet again. Next stop: On our way to Malacca for our last surprise! This time, it is Felicia’s mother!